Non GMO cold processed whey protein isolate, cocoa powder, natural & artificial flavors, xanthan gum, sucralose, and enzyme blend. Contains milk and sunflower (lecithin). Produced in a facility that processes peanuts, tree nuts, soy, wheat and egg. Whey Protein Isolate, Whey Protein Concentrate, MCT Powder, Magnesium Bisglycinate Chelate (TRAACS®), Natural Flavors, Xanthan Gum, Calcium Bisglycinate Chelate (TRAACS®), Cinnamon, Potassium Glycinate Complex (Albion®), Ascorbic Acid, Sucralose, Enzyme Blend, Chromium Nicotinate Glycinate Chelate (TRAACS®) Sodium Chloride. Produced in a facility that uses peanut, tree nut, and egg ingredients. Contains Milk and Soy (Lecithin). Add 1 level scoop to 8oz of water, nonfat milk, or your favorite beverage. You can use more or less liquid to meet your desired taste and calorie needs. Shake well in a shaker until dissolved. Whey Protein can be added to any food, including yogurt. Whey Protein Isolate, Whey Protein Concentrate, MCT Powder, Magnesium Bisglycinate Chelate (TRAACS®), Natural Flavors, Xanthan Gum, Calcium Bisglycinate Chelate (TRAACS®), Potassium Glycinate Complex (Albion®), Ascorbic Acid, Sucralose, Enzyme Blend, Chromium Nicotinate Glycinate Chelate (TRAACS®) Sodium Chloride. 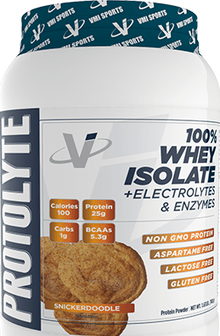 Non GMO cold processed whey protein isolate, natural flavors, xanthan gum, sucralose, and enzyme blend. 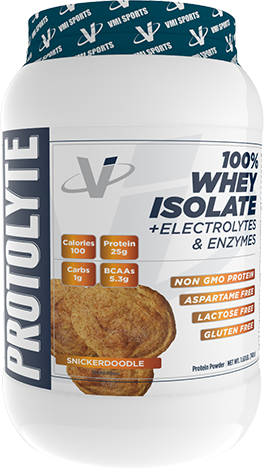 Non-GMO Cold Processed Whey Protein Isolate, Cocoa Powder, Natural and Artificial Flavors, Xanthan Gum, Sucralose, and Enzyme Blend.